Drink Again | 15/18 | Would you drink it again? I love the Sugarbowl. Love it. So many great beers. Sometimes I can’t remember which ones I’ve tried. So I decided to try them all. Not all at once but eventually. The easiest way is to start at the top of the list and work my way down! It’s a tough job but someone has to do it! 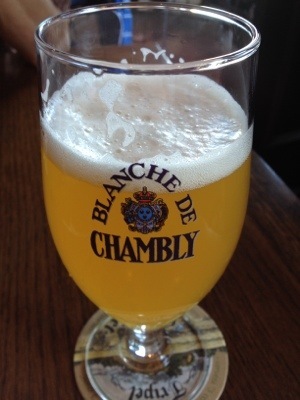 At the top of the beer list is Blanche de Chambly. It is a white beer from Unibroue in Chambly, Quebec. It’s nice and light at 5%. Has the banana and spice taste you’d expect from a witbier. I like it and would drink it again. In fact I will soon, I bought a 750ml bottle and will give it a shot! 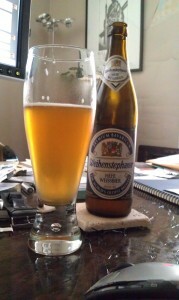 Weihenstephaner. The worlds oldest brewery. It started as a monastery brewery of the benedictine monks, and thankfully for all of us, it’s still brewing today as the Royal Bavarian State Brewery. I’ll cut the history lesson short. If you like weiss bier, or wheat beer, you owe it to yourself to pick some of this up. Their class, not mass approach results in a very refreshing beer. As you might expect, it pours golden and cloudy. What sets it apart from other weiss bier for me is the incredible balance. You can probably smell or taste citrus, banana, cloves, wheat and some yeast. I also pick up a bit of coriander, as you’ll tasted in some other notable weiss bier. However, none of the others you’ll have tasted will balance it nearly as well as Weihenstephaner. I will certainly be drinking this again, rather than my typical Hoegaarden. Thanks for Scott for both the history lesson and the introduction to this great beer! Given that, what’s amazing is that it is almost completely lacking in bitterness. It’s smooth, immensely strong, and flavorful. The flavour is unlike any other beer. 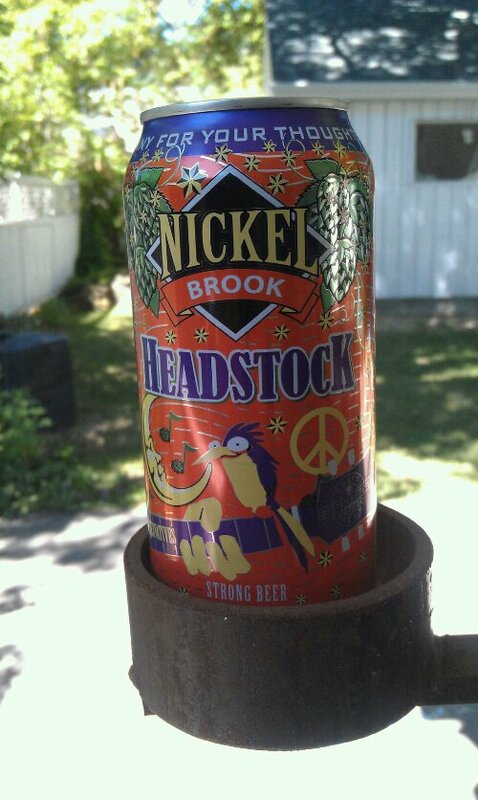 So hoppy it’s … sweet? Almost malty, even. Or, at least, two more times for the two bottles I’ve laid down to age until 2013. Whereupon I’ll probably write about them, too. It’s summer. It’s hot. And so we put away our stouts and whisky cask aged beers, and raise a glass of beer that light will almost certainly pass through. One of the standout types of summer beer for me has long been wheat beer, which is broken down into weissbier, witbier, and the sour varieties, such as lambic, Berliner Weisse and gose. The basic translation from German or Dutch (still the unrivaled masters of this top-fermented beer) is white beer. You might also have noticed hefeweizen, which is simply an unfiltered white beer which will appear cloudy when poured. 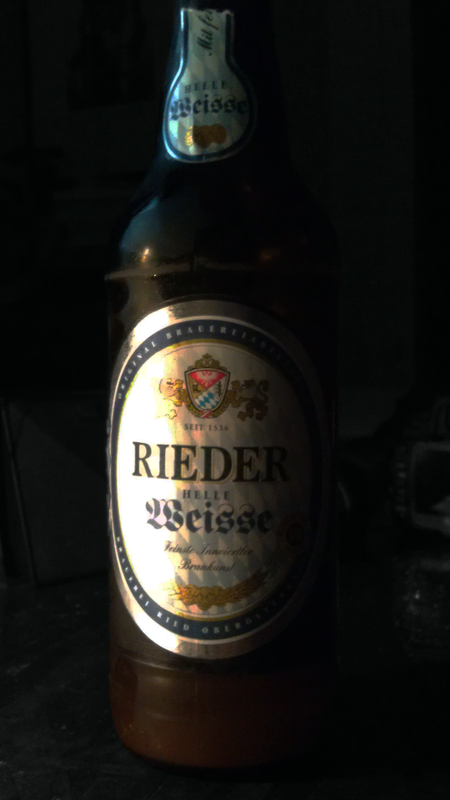 The selection tonight is Rieder Helle Weisse, out of Austria. It pours nicely with minimal head and decent aroma. It’s a bit cloudy, and a brilliant golden wheat colour. The flavour is smooth, with a hint of citrus and banana, and a very clean finish. Not an astounding wheat beer, but certainly a very good one. I’ll be drinking it again! This is a big, bold IPA with 80 IBUs and 7% alcohol. I will definitely be drinking it again! Thanks to Brady over at Sherbrooke for the recommendation. 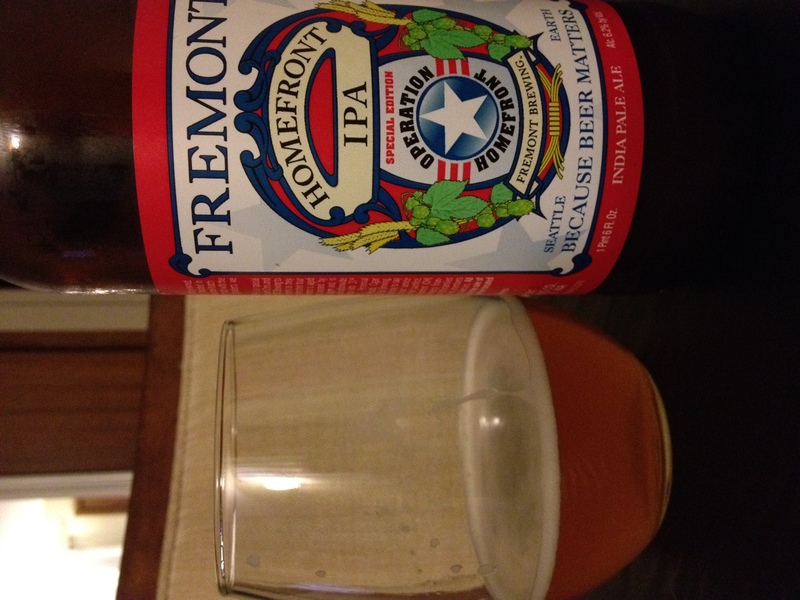 Fremont Brewing’s Homefront IPA is a beer for a cause; a charity dedicated to US Military veterans. It’s “A full-bodied Northwest IPA brewed with oranges and aged on Louisville Slugger™ Bats”. This seems more gimmicky than tasty, but Fremont is a good local brewery, so here we go! The beer is a delight to the nose, but it definitely does not live up to the initial promise. 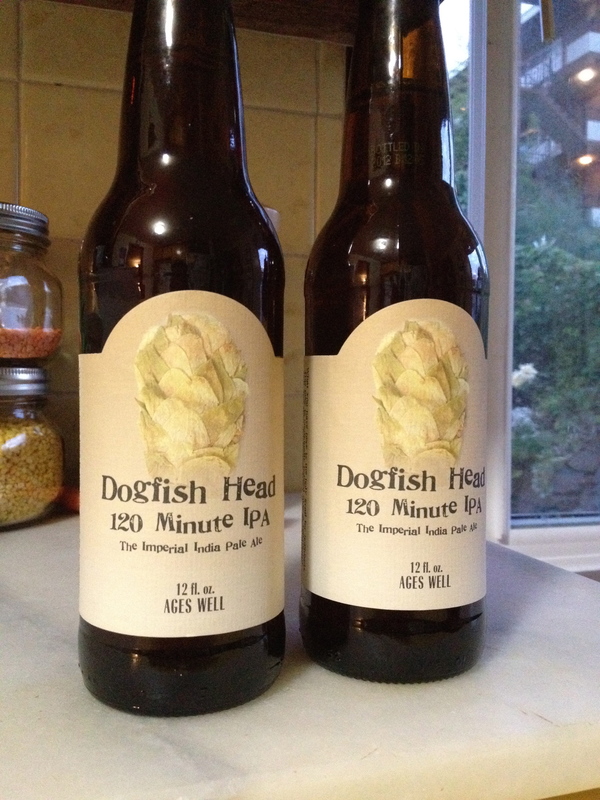 It’s a serviceable IPA, mind you; smooth and easy-drinking. It just falls short of the floral intensity of its aroma. Would I drink it again? 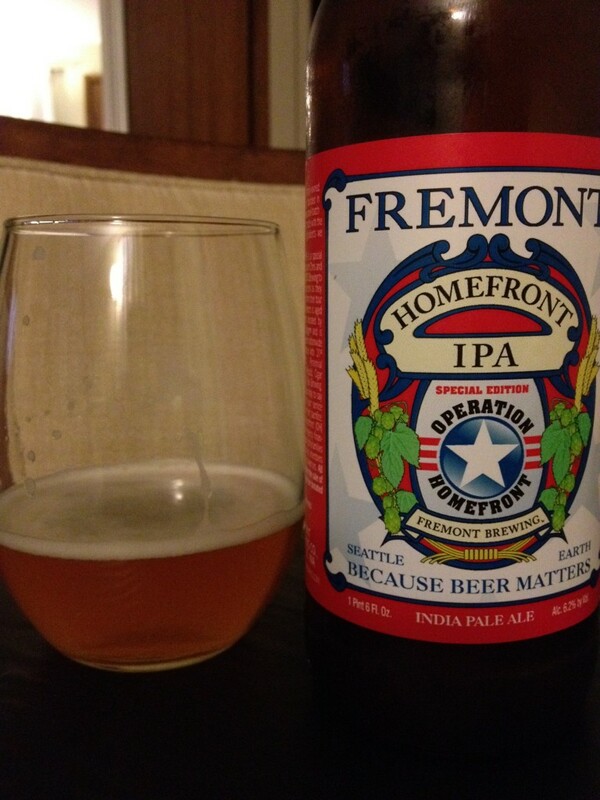 Yes, but Fremont has better beers, so it’ll be an occasional thing at best. 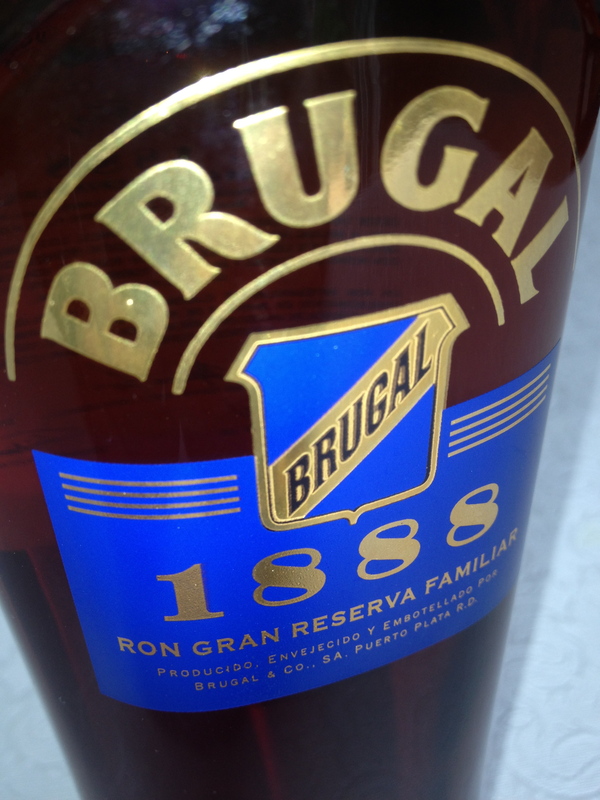 Father’s day treated me well this year – a shiny bottle of Brugal 1888 Ron Gran Reserva Familiar joined my collection (Dominican rum distiller). It’s a blend of rums aged 5 to 14 years. It was given to me courtesy of some random guy at the liquor store. **My mom actually paid for it, but said random rum lover gushed over the Brugal 1888 Reserva, so I went with it. The Brugal isn’t as dark and rich in appearance as say, Diplomatico Reserva Exclusiva, but it’s still appealing to the eye. It has plenty of legs that reveal a light bodied rum – when swirled in your glass, it settles down the sides quickly and in thin lines. So, how does it taste? The Brugal Reserva offering is subtle to start, but comes on strong with cinnamon and caramel. Harshness follows with hints of vanilla. I kept waiting for the finish to……well…..finish. But the bite lingered and fluctuated between smokiness and spices, and left me wanting a smooth run for my next sip that didn’t come. You could even call it an imposter – a rum that poses as a scotch (**for the record, I love scotch). At $62+ for a bottle, I can think of a number of cheaper offerings I prefer. I’m not saying this is poor quality rum – far from it. It’s just that I wouldn’t drink this again if I’m buying. No offense mom and random liquor store guy. 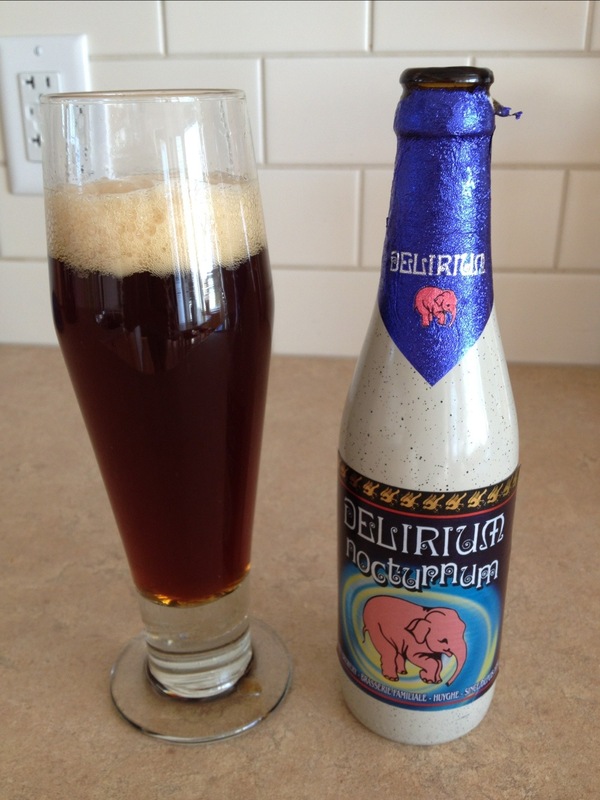 Delerium Nocturnum is an 8.5% Belgian Strong Ale from the Huyghe Brewery in Belgium. It pours out a beautiful rich brown head with a nice head. It was rich enough to stand up to and even pair nicely with a Cohiba. 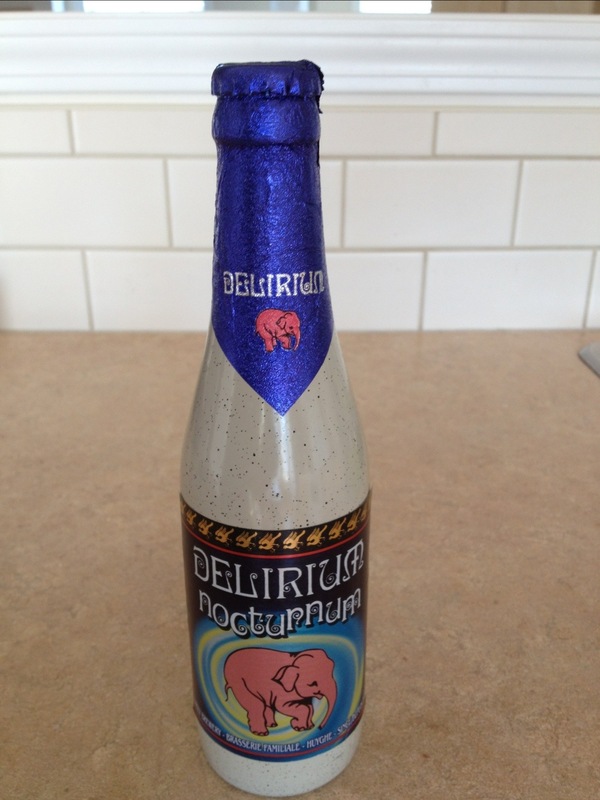 While it is a very tasty beer, I found I liked its sister, Delerium Tremens even better. I thought Tremens was richer, sweeter, and more complex, more of what I expect in a Belgian ale. I would definitely drink it again but would take Tremens every time if given the choice! On another note, I really need to get the proper glassware for a Belgian ale. I don’t think I have the palate to detect the difference made by glassware, it’s more for the experience. But then again, who knows…..